The following statement was approved as policy of the American Psychological Association (APA) by the APA Council of Representatives during its August, 2005 meeting. Evidence-based practice in psychology (EBPP) is the integration of the best available research with clinical expertise in the context of patient characteristics, culture, and preferences. This definition of EBPP closely parallels the definition of evidence-based practice adopted by the Institute of Medicine (2001, p. 147) as adapted from Sackett and colleagues (2000): “Evidence-based practice is the integration of best research evidence with clinical expertise and patient values.” The purpose of EBPP is to promote effective psychological practice and enhance public health by applying empirically supported principles of psychological assessment, case formulation, therapeutic relationship, and intervention. Best research evidence refers to scientific results related to intervention strategies, assessment, clinical problems, and patient populations in laboratory and field settings as well as to clinically relevant results of basic research in psychology and related fields. A sizeable body of evidence drawn from a variety of research designs and methodologies attests to the effectiveness of psychological practices. Generally, evidence derived from clinically relevant research on psychological practices should be based on systematic reviews, reasonable effect sizes, statistical and clinical significance, and a body of supporting evidence. The validity of conclusions from research on interventions is based on a general progression from clinical observation through systematic reviews of randomized clinical trials, while also recognizing gaps and limitations in the existing literature and its applicability to the specific case at hand (APA, 2002). Health policy and practice are also informed by research using a variety of methods in such areas as public health, epidemiology, human development, social relations, and neuroscience. Researchers and practitioners should join together to ensure that the research available on psychological practice is both clinically relevant and internally valid. It is important not to assume that interventions that have not yet been studied in controlled trials are ineffective. However, widely used psychological practices as well as innovations developed in the field or laboratory should be rigorously evaluated and barriers to conducting this research should be identified and addressed. Psychologists’ clinical expertise encompasses a number of competencies that promote positive therapeutic outcomes. 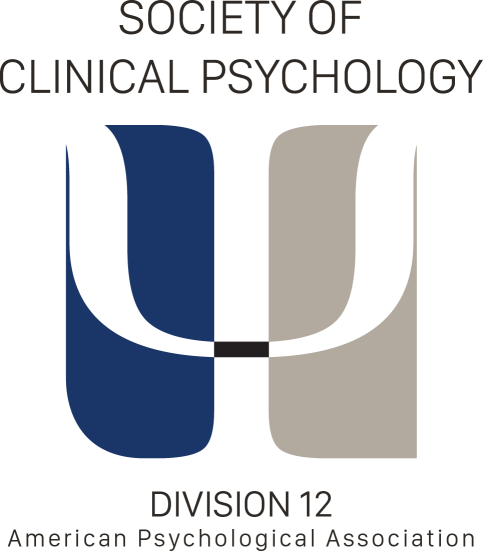 These competencies include a) conducting assessments and developing diagnostic judgments, systematic case formulations, and treatment plans; b) making clinical decisions, implementing treatments, and monitoring patient progress; c) possessing and using interpersonal expertise, including the formation of therapeutic alliances; d) continuing to self-reflect and acquire professional skills; e) evaluating and using research evidence in both basic and applied psychological science; f) understanding the influence of individual, cultural, and contextual differences on treatment; g) seeking available resources (e.g., consultation, adjunctive or alternative services) as needed; and h) having a cogent rationale for clinical strategies. Expertise develops from clinical and scientific training, theoretical understanding, experience, self-reflection, knowledge of current research, and continuing education and training. Clinical expertise is used to integrate the best research evidence with clinical data (e.g., information about the patient obtained over the course of treatment) in the context of the patient’s characteristics and preferences to deliver services that have a high probability of achieving the goals of treatment. Integral to clinical expertise is an awareness of the limits of one’s knowledge and skills and attention to the heuristics and biases—both cognitive and affective—that can affect clinical judgment. Moreover, psychologists understand how their own characteristics, values, and context interact with those of the patient. Psychological services are most effective when responsive to the patient’s specific problems, strengths, personality, sociocultural context, and preferences. Many patient characteristics, such as functional status, readiness to change, and level of social support, are known to be related to therapeutic outcomes. Other important patient characteristics to consider in forming and maintaining a treatment relationship and in implementing specific interventions include a) variations in presenting problems or disorders, etiology, concurrent symptoms or syndromes, and behavior; b) chronological age, developmental status, developmental history, and life stage; c) sociocultural and familial factors (e.g., gender, gender identity, ethnicity, race, social class, religion, disability status, family structure, and sexual orientation); d) environmental context (e.g., institutional racism, health care disparities) and stressors (e.g., unemployment, major life events); and e) personal preferences, values, and preferences related to treatment (e.g., goals, beliefs, worldviews, and treatment expectations). Some effective treatments involve interventions directed toward others in the patient’s environment, such as parents,teachers, and caregivers. A central goal of EBPP is to maximize patient choice among effective alternative interventions. Clinical decisions should be made in collaboration with the patient, based on the best clinically relevant evidence, and with consideration for the probable costs, benefits, and available resources and options.3 It is the treating psychologist who makes the ultimate judgment regarding a particular intervention or treatment plan. The involvement of an active, informed patient is generally crucial to the success of psychological services. Treatment decisions should never be made by untrained persons unfamiliar with the specifics of the case. The treating psychologist determines the applicability of research conclusions to a particular patient. Individual patients may require decisions and interventions not directly addressed by the available research. The application of research evidence to a given patient always involves probabilistic inferences. Therefore, ongoing monitoring of patient progress and adjustment of treatment as needed are essential to EBPP. APA encourages the development of health care policies that reflect this view of evidence-based psychological practice. American Psychological Association. (2002). Criteria for evaluating treatment guidelines. American Psychologist, 57, 1052-1059. Sackett, D. L., Straus, S. E., Richardson, W. S., Rosenberg, W., & Haynes, R. B. (2000). Evidence based medicine: How to practice and teach EBM (2nd ed.). London: Churchill Livingstone. 1. An expanded discussion of the issues raised in this policy statement including the rationale and references supporting it may be found in the Report of the Presidential Task Force on Evidence-Based Practice available online athttp://www.apa.org/practice/ebpreport.pdf. 2. To be consistent with discussions of evidence-based practice in other areas of health care, we use the term patient to refer to the child, adolescent, adult, older adult, couple, family, group, organization, community, or other populations receiving psychological services. However, we recognize that in many situations there are important and valid reasons for using such terms as client, consumer or person in place of patient to describe the recipients of services. 3. For some patients (e.g., children and youth), the referral, choice of therapist and treatment, and decision to end treatment are most often made by others (e.g., parents) rather than by the individual who is the target of treatment. This means that the integration of evidence and practice in such cases is likely to involve information sharing and decision making in concert with others.